Hannity has finally admitted to the haters what they all already knew. Most people who choose to watch CNN, MSNBC, or Fox News will tell you they like “to stay informed with the news.” That makes sense… if only it were the news. The admission was brought up because of a research-laden piece by Think Progress and another overwhelming write-up by Media Matters for America (MMFA) offering a truckload of proof that Sean Hannity’s favorite guest is Donald Trump. More than 35 percent of all Hannity “interviews” were given to Donald Trump — that’s 8 hours of air time. Remember that article about the $2 billion of free media afforded to the Donald? 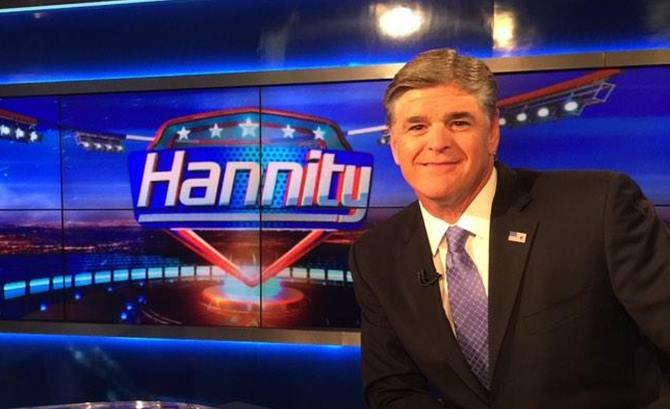 Who needs those hoity-toity fundraising dinners worth $25,000 a plate when you have Sean Hannity hosting a multi-level marketing campaign? At least Hannity has finally admitted to the haters what they all already knew.